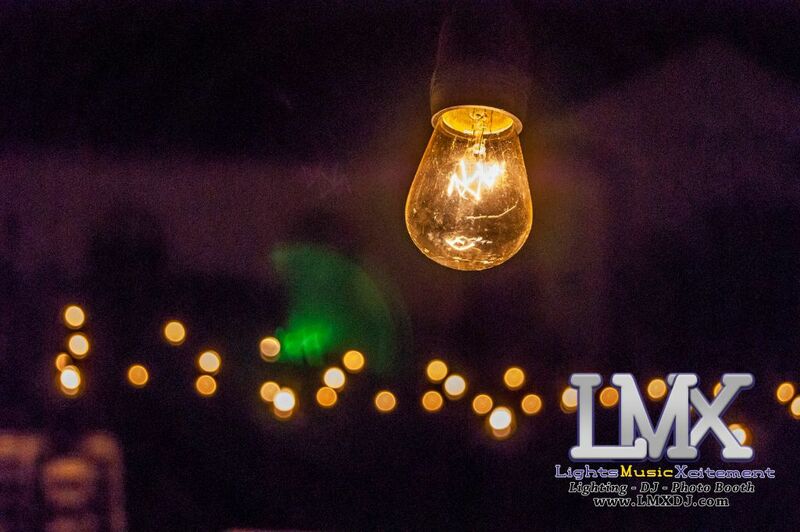 Talk about mood lighting! 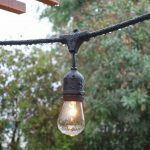 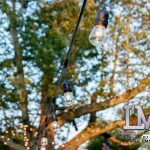 Decorative bistro lights, also called string, festoon or market lights, add a twinkling atmosphere to wherever you put them. 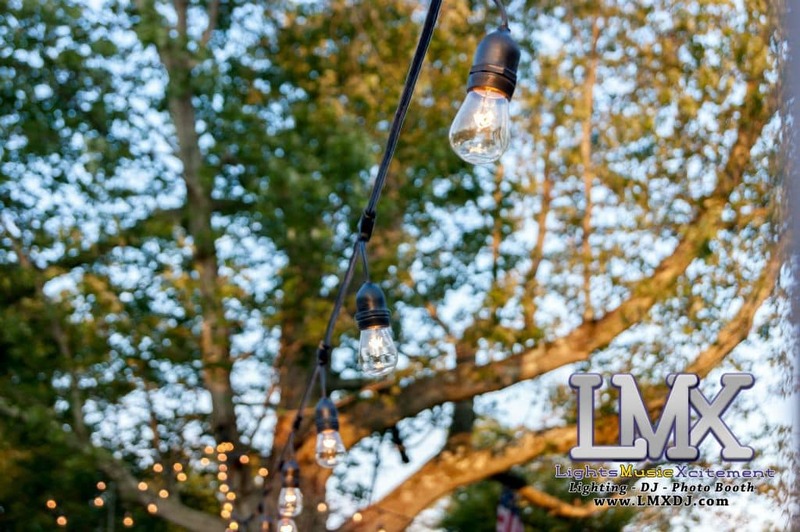 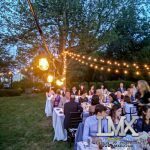 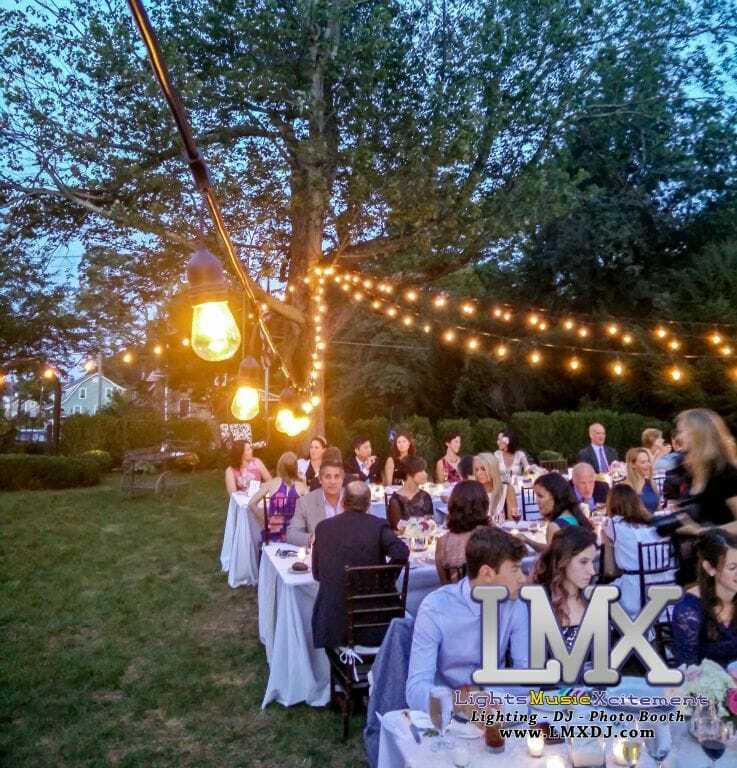 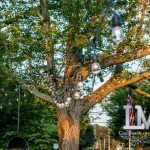 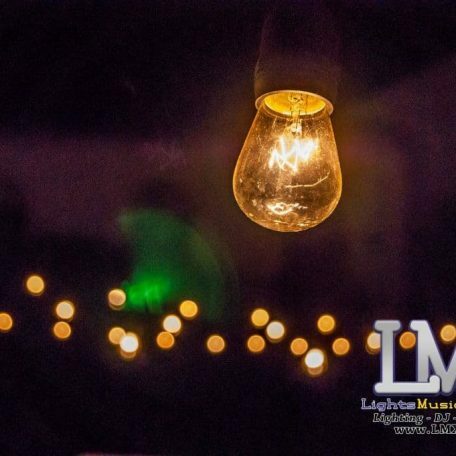 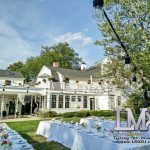 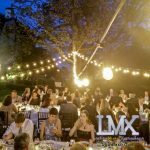 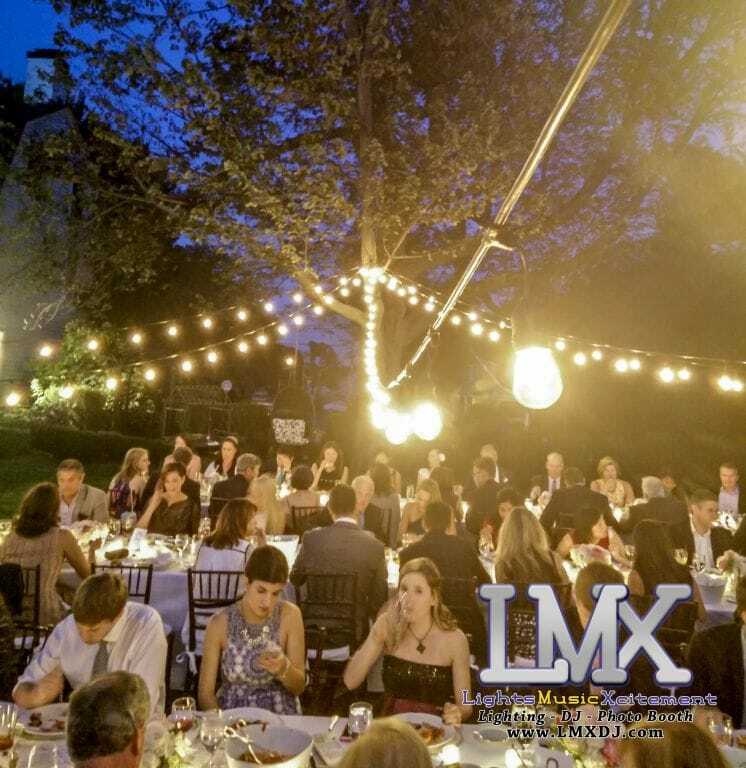 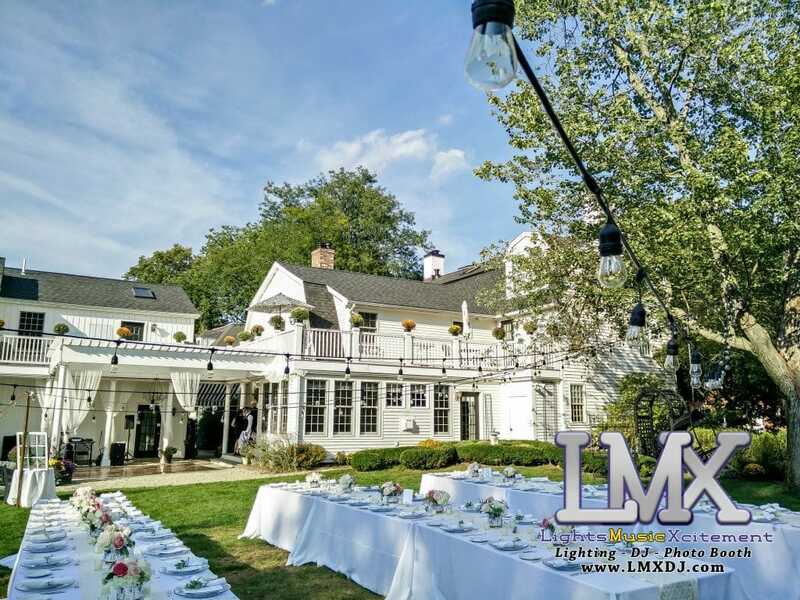 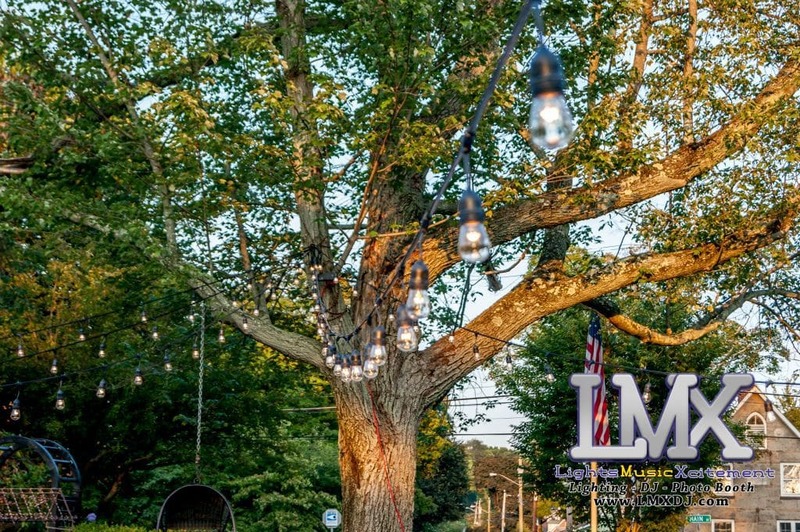 These lights aren’t just for outdoor receptions, they look great in a barn or tent too. Commercial-grade bistro string lighting is for outdoor use due to the weather-resistant design of the string lights. 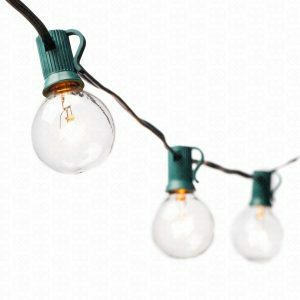 The bulbs give off a soft warm-white light that’s similar to candle light. 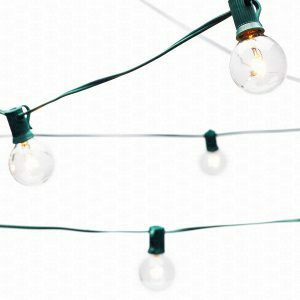 You must choose commercial-grade if you want string lighting outdoors.